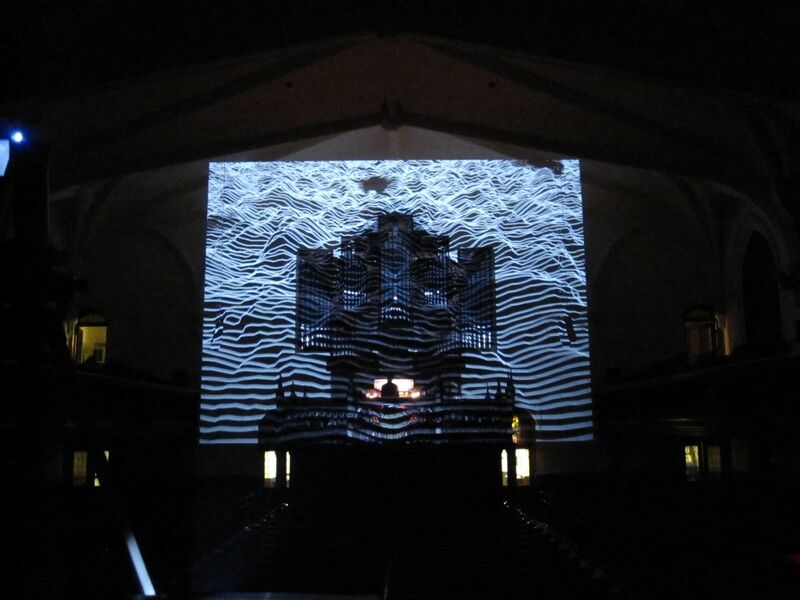 A series of minimalist grayscale animations, generated in real-time from simple algorithms, were projected onto a pipe organ and the surrounding architecture. 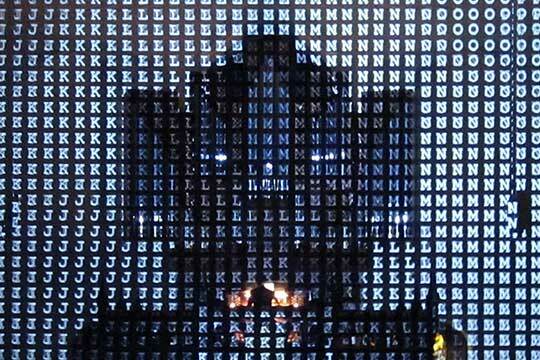 The visual artwork accompanied electronic audio compositions, which were played in between pipe organ pieces at an evening length performance. 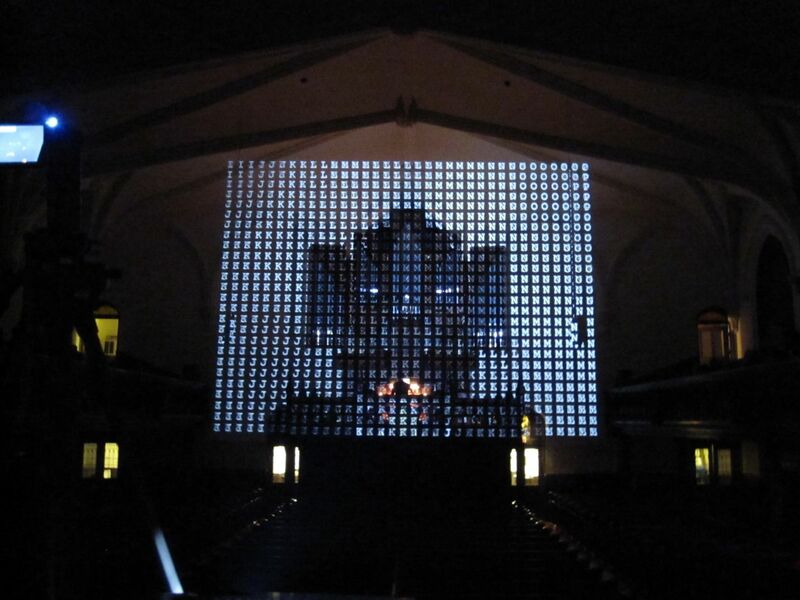 The audio and the video both worked together to “cleanse the palate”, providing rest between the full length pieces of new music for pipe organ. Contact Wil Smith to discuss including Interstitials in your program. 2012 – Music at First with composer/organist Wil Smith. Brooklyn, NY. 2012 – New Music Miami Festival with composer/organist Wil Smith. Miami, FL.